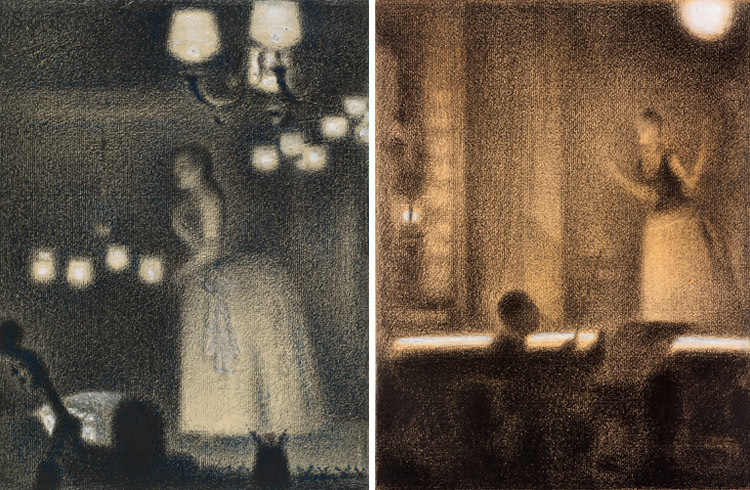 Two conté crayon works on paper of women singing by Seurat on view in the exhibition; two days left to see Neo-Impressionism and the Dream of Realities. This entry was posted in Exhibitions and tagged conte crayon, drawings, Georges Seurat, neoimpressed, NeoImpressionism, works on paper. Bookmark the permalink.